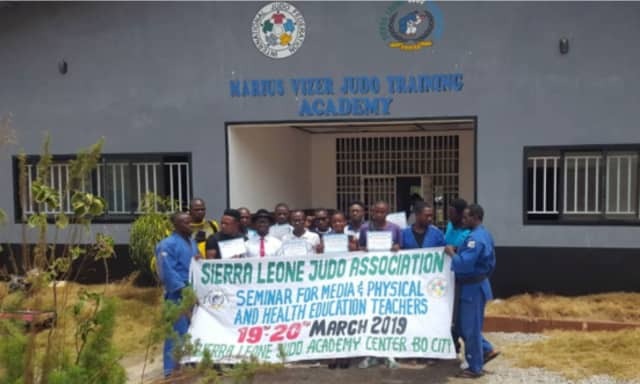 The Sierra Leone Judo Association held a two-day seminar, under the leadership of Idrissa Massaquoi, for sport journalists and physical health education teachers in Bo city, the second city of Sierra Leone. The event was organized in the judo academy center. Twenty participants attended the seminar. Four came from the major radio stations in the country and six from newspapers. The two-day seminar covered both practical and theory classes during which Idrissa Massaquoi tought about the History and culture of Judo and Christian Bangura about the rules of the sport (DAY1). The second day started with questions and answers to know if the participants understood what they were thought and then move on to the next stage which was the practical aspects, led by Coach Fredrick Harris and Alusine Mansaray. The participants, who could also experience being a referee, were very happy and already asked for such a seminar every year. Mr. Mohamed Bash K Sharif president of the Southern Region Sport writers Association said: “This is the first sports federation to organize such a seminar with our media association and Physical Health Education teachers. It was held in a very professional way“. As a first consequence, Mr. Kamara from Christ The King College requested for a seminar to be proposed to his students and showed his interest in becoming a judo referee, and all the Physical Health Education teachers asked the judo federation to host a training camp for twenty students per school and two PHE teachers on July 31st, after the end of year exam. 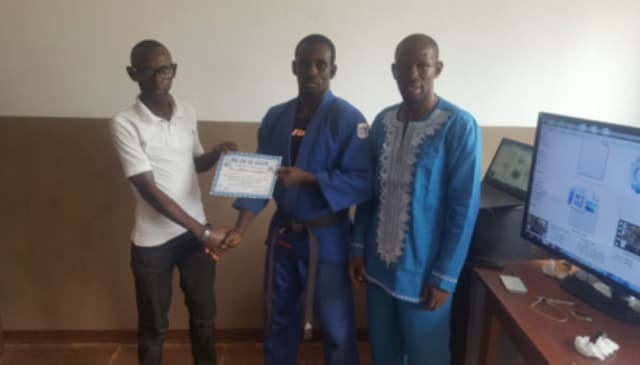 Based on the request of the PHE teachers, Massaquoi promised to make everything possible so that judo can be included in all the schools in Bo. The same opportunity will be offered to the other regional headquarter town to learn judo during the summer training camps.